Q: Do you rent front of entrance mats? Q: Do you clean Carpets? Q: Do you clean mini blinds and verticals? Q: Do you clean draperies? Q: Do you clean oilfield coveralls? Q: Do you clean oilfield gloves and rain gear? Q: Do you clean wedding dresses? 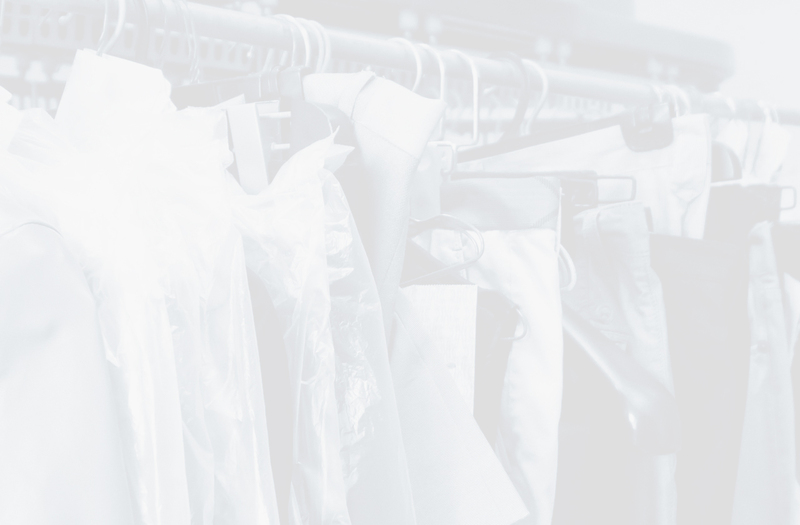 Q: Do you preserve wedding dresses? Q: Do you clean leather and suede? A: We clean most leathers on site. Suedes have to be sent out as they require special equipment to clean. Q: Do you do repairs and/or tailoring? A: We have two seamstresses that can do most repairs. Both are also tailors. A: Generally one week for Personal dry cleaning, but we do leave room for rush orders. It really depends on the item and date needed. Commercial cleaning is one to two days. Q: Do you clean down items? A: Yes we clean down duvets, jackets and sleeping bags. Q: Do you clean sleeping bags? Q: Do we do regular laundry? A: Yes, priced by the lb. A: Mon-Fri 9:30AM-6:00PM, CLOSED SATURDAYS AND HOLIDAYS. Q: Do you clean houses? Q: Do you clean rugs and upholstery?